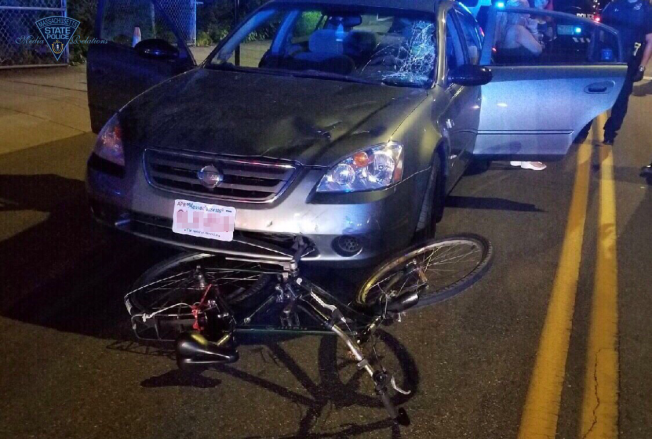 An Everett man is facing charges for an OUI after hitting a man on a bicycle in Revere early Sunday morning. Josue Flores-Ochoa, 27, is accused of striking a 56-year-old man on his bicycle in the vicinity of 943 Revere Beach Parkway at around 2:20 a.m. on Sunday. Flores-Ochoa is facing charges for OUI-Liquor, leaving the scene of a personal injury crash, unlicensed operation of a motor vehicle and negligent operation of a motor vehicle. After allegedly striking the man on his bike, Flores-Ochoa fled down Route 16 westbound in his car. Flores-Ochoa was located by Chelsea Police on Washington Avenue in Chelsea with the bicycle still attached to the front end of the car. The victim, who's yet to be identified, is from Winthrop and is said to have sustained non-life threatening injuries. He was transported by ambulance to Mass General Hospital.